Adam Lindsay Gordon | Crafts Council of Ballarat Inc. Poet Adam Lindsay Gordon (1833-1870) was born in Fayal in the Azores on October 19th, 1833. He was educated in England, where he was good at sports but not studiously inclined and certainly undisciplined. His father sent him to Australia to, hopefully, start a new and more useful life. He arrived in Adelaide in November of 1854. His many pursuits included being a police officer, poet, boxer, horse breaker and steeplechase jockey (all of which he was capable of carrying out), parliamentarian, manager, investor, businessman (all of which he displayed a considerable lack of talent in). At the age of 29 he married Margaret Park, 17, and used an inheritance of 7000 pounds from his mother’s estate to help publish his own writing. His first published verse was a ballad entitled The Feud in 1864. In 1867 he published Ashtaroth, A Dramatic Lyric, Sea Spray and Smoke Drift. His interest in steeplechase racing brought him to Ballarat. During one visit he received an offer from Walter Craig to take up the leasehold of the livery stables that were attached to Craig’s Hotel in Bath Street. He arrived to take up the leasehold in 1867 with his wife and daughter. During his time in Ballarat he was secretary of the local hunt club and became a senior sergeant in the Ballarat troop of Light Horse. Both of these activities were associated with money and position and Gordon was living beyond his means. Whilst in Ballarat, his daughter Annie died from an infection and was buried in the Ballarat Old Cemetery. She was eleven months of age. In 1919, her body was exhumed and moved to the cemetery in Brighton. In October 1868, the Gordons left Ballarat after the failure of the livery stables. In Melbourne, Gordon made a little money out of his racing, but in March 1870 he had a bad fall in a steeplechase at Flemington, and suffered a head injury, from which he never fully recovered. On 23rd June 1870 his last book, Bush Ballads and Galloping Rhymes, was published. Also on this day he learnt that his claim to the Esslemont Estate in Scotland was unsuccessful. Realising that he had not enough money left to pay the printer, he became severely depressed. The following morning he shot himself near his house in Brighton. He is buried in Brighton Cemetery. Gordon’s ballads, with their swinging rhythms and love of the open air life and horses, have a permanent place in Australian Literature. In 1933, the centenary of his birth, F.J. Martell, former Principal of Ballarat School of Mines, began moves to have the Cottage of Gordon’s residence moved from Bath Street to the Ballarat Botanical Gardens. Mr. R. A. Crouch advanced the money for the Cottage project. The building firm of A and G Quayle won the tender to dismantle the Cottage in numbered sections and then fitted them back together next to the fernery at the gardens. The Ballarat Courier refers to this project several times between March and August of 1934. The Cottage was formally opened by State Governor Lord Huntingfield on August 15, 1934. The Cottage stood in the gardens for many years, used as a display about Adam Lindsay Gordon, but during the 1980’s fell into disuse and disrepair. In the early 1990’s the Ballarat Ys-Men undertook a restoration programme, using donated materials from local businesses. 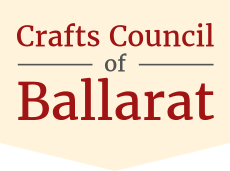 In March of 1992, the Crafts Council of Ballarat opened the Cottage as an outlet for locally produced crafts. This venture is staffed by members on a voluntary basis and allows members of the Crafts Council to sell their products. All profits go to the running of the Cottage.